As we get closer to the grand opening of the Montage Residences in Los Cabos, I wanted to take a moment to tell you a little bit more about the Montage Los Cabos properties. As a buyer’s agent, I have been working closely with the resort to help them sell these beautiful residences along the Golden Corridor. Though chances are, they will all be sold before the property even opens. Steps away from the pristine Santa Maria Bay, the Montage Residences are ideally situated for those looking to invest in a primary or secondary home along the Baja Peninsula. Featuring breathtaking views and gourmet meals that can be enjoyed at one of the restaurants, or served on your terrace by a private chef, the Residences were designed with your ultimate comfort and security in mind. With warm weather year-round, the Montage Residences feature indoor/outdoor living at its finest. Each home is an elegant oasis with dining rooms that open out on the terrace, a wet bar for entertaining outdoors, and large glass walls that make living, dining, and enjoying company at home feel like a trip to the resort. There are even soaking pools off the master bedroom for the ultimate experience of leisure. Artistic landscaping and sustainable architecture blend seamlessly with the environment around it. Whether you want to spend an afternoon at the pool or play a round of tennis on the tennis courts, your every desire is considered. World-class restaurants, a tranquil spa experience, and a 20,000 square-foot pool are all on site. When you’re a Montage resident, you’re treated like one. A dedicated staff is available to provide personalized concierge services to suit your every need. 24-hour security is provided to ensure you remain safe and secure at all times. The Montage Residences understand the discreet needs of their residences, and they take extra steps to ensure your privacy and safety are put first. There is a private residential pool, jacuzzi, and snack bar for those who would prefer a little more seclusion and each residence comes with its own garage as well as rooms that can be locked off in the case of rental. If you do not wish to reside in your residence full-time, the Montage Residences would be happy to manage your property while you’re away. Simply enroll in the Montage Los Cabos Rental Program. 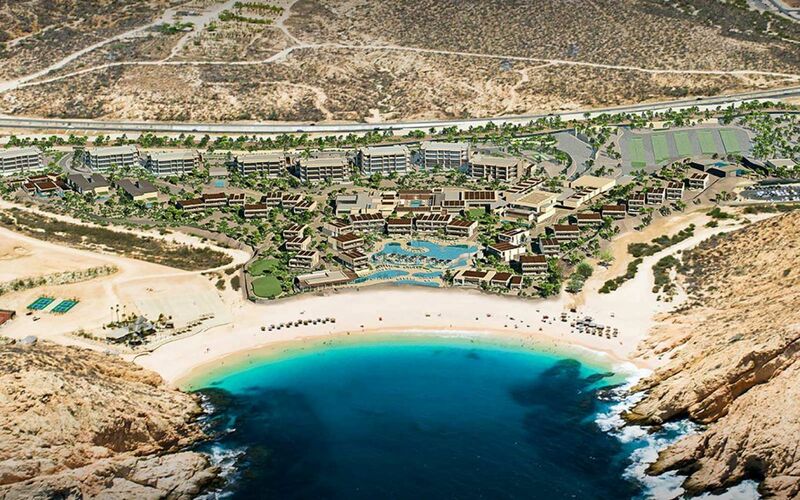 If you’re interested in learning more about the Montage Los Cabos properties, I would love to help. I’ve been working closely with the development for some time now and would be happy to help you find the very best in luxury homes in Los Cabos. Give me a call!